Beautifully maintained, almost new Villa offers an open concept 2242 sq. 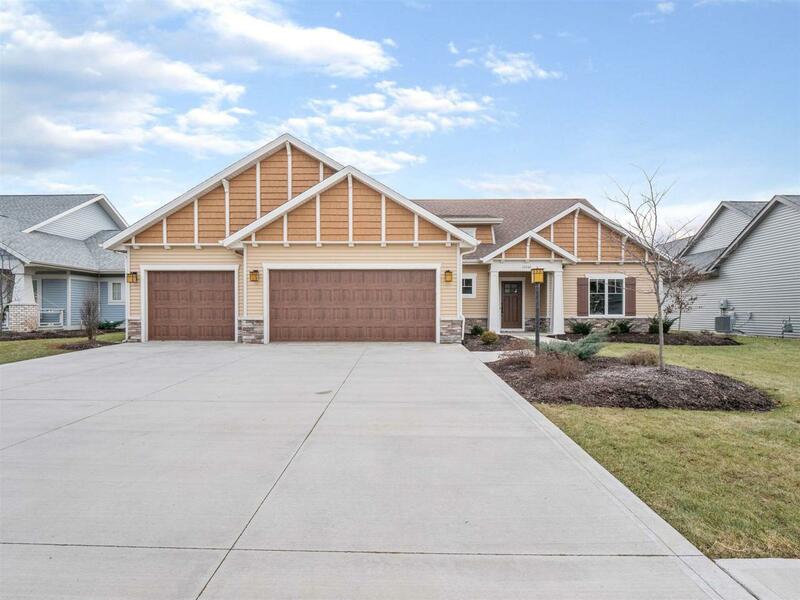 ft. floorplan with 3 bedrooms, 2 full baths, 2 living areas & desirable 3 car garage. Located in the villa community Cottage Park of the Forest at Foxwood. 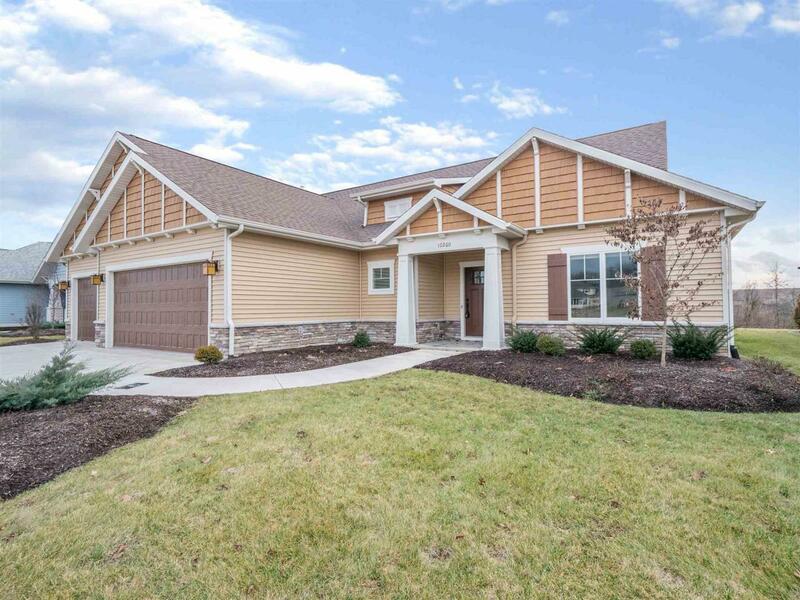 Craftsman style home boasts exterior design elements of a double gable roof, decorative eave trim, shake details, stacked stone & covered front entry. An inviting entryway featuring a tiffany style light fixture leads into the open concept main living area comprising the great room, kitchen, dining & hearth/morning rooms. The great room is filled with natural light by a wall of floor to ceiling windows & the double trey ceiling adds architectural interest. 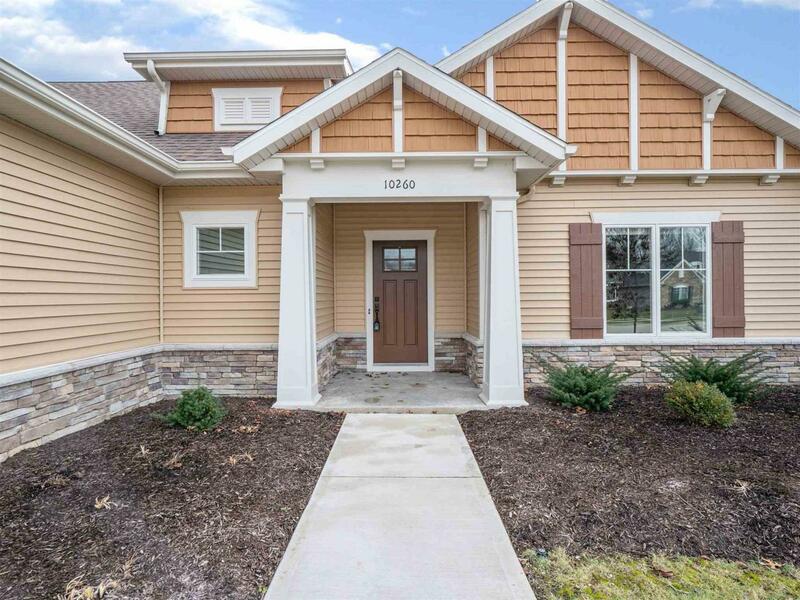 The spacious kitchen is equipped with oak Craftsman style cabinetry, a tiled backsplash, granite countertops, a deep walk-in pantry, plus an island that features an under mount sink & breakfast bar. The adjacent dining area provides direct access to the pergola covered patio for easy entertaining. The hearth/morning room is where you will spend all of your time. Relax in the gorgeous setting of a vaulted & beamed ceiling, a focal wall showcasing a fireplace w/tile surround & expansive wood trim detail, plus multiple windows with scenic nature preserve views. Master suite is furnished with a trey ceiling, a split sliding barn door entry to the private ensuite bath w/double sink vanity, tiled flooring, a large doorless custom tiled shower, a linen closet, plus a dream dressing room & closet w/open shelving. Convenient double access doors to the laundry room w/cabinetry & folding counter. Desirable split bedroom floorplan provides 2 additional nicely sized bedrooms & 2nd full bath. 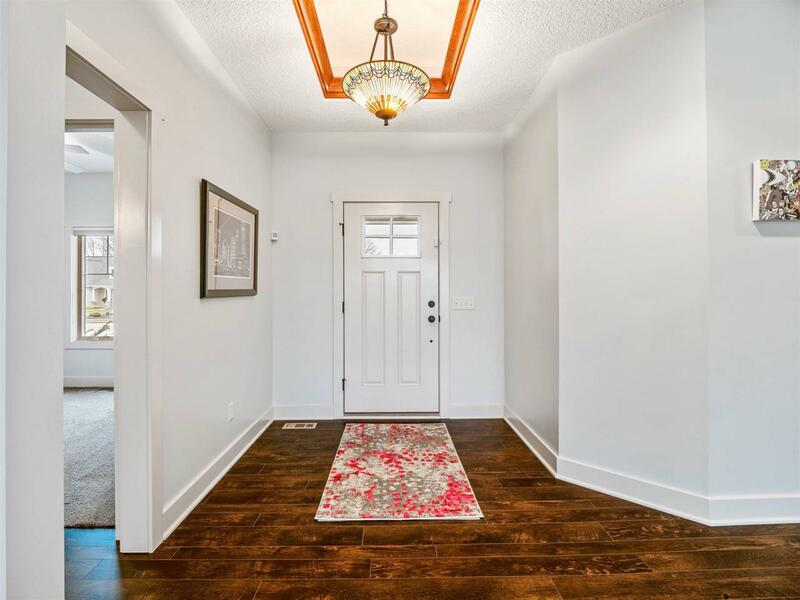 Additional details include a white trim package w/Craftsman style interior doors, ceiling fans, cool neutral tone interior for every style, recessed lighting throughout, hardwood flooring throughout foyer, hallway, kitchen, dining & hearth/morning room. A split 3 car garage adds storage & flexibility. Built by Quality Crafted Homes in a community where no two home are alike. Quick access to the interstate & 10 minutes from Parkview Hospital. Immaculate & move in ready! Listing courtesy of James Reecer of Keller Williams Fort Wayne.